"Oh, by 4-6 pages single spaced, I actually meant double spaced." 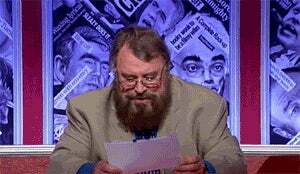 Feel free to populate this thread with more Brian Blessed. Or other joyous GIFs to mark this happy occasion.